This post was supposed to be about my week in review, with pictures included......sadly not to be my friends. I left my camera at school on Friday and realised it on Friday night when I was about to do a blog post. As my school is about a 40 minute drive one way....I really didn't think you would mind waiting till Monday evening to see my week in review. Now you all have something to look forward to! Instead I have started on my Christmas activities and have uploaded my first Christmas product to my TpT store. The Christmas Gift match up-facts to 10 consolidates the part-part-whole concept and as students have to match the correct colour when making the match it is self correcting (love those activities). I have also included blank gifts sheets so students can record the facts to 10. I am going to give one lucky follower the chance to get this for free! Just be the first to leave a comment with your email address and tell me what is your favourite Christmas activity to do in your classroom! Or click on the link to visit my TpT store to get your copy. Looks great Tania :)Hope your kiddos enjoy the activities. I hope we get your week in review on Monday instead! Christmas will be soon upon us, it is getting very close. I didn't realise you lived so far away from your school - you have so much more to fit into every day! Thank you ladies :) I know Alison, this is a rural area so not much between towns and because there is a university here that teaches Education there are many graduate teachers so jobs are hard to find. So you have to consider being prepared to travel to the outlying areas, the good news is that the drive is through the countryside so not much traffic to deal with, unless you encounter a tractor or cattle truck. Great activities, Tania. Wow, you certainly have a drive to school. The countryside scenery helps. Heaps better than city congestion. 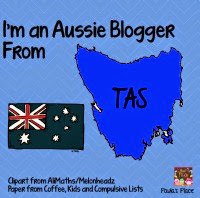 We are in the middle of reports at present.I will be so glad when it is over.That what I am doing at present so I decided to take a break and read some special blogs.